English: Reading and Writing: This week we are beginning our unit of study on reading and writing narrative texts, learning the language features and structure of a narrative fictional story. We will be writing lots of stories over the next few weeks learning about characterisation, setting descriptions and exciting problems and resolutions. In Year 2, is it important we consider our readers when we are authors, attempting to use varying parts of speech (adjectives, nouns, verbs and adverbs) as well as simple and complex sentences with different sentences starters to keep our readers attention and imagination. We will also be developing our awareness of speech dialogue and punctuation such as commas and quotation marks. We will be reading a range of fictional texts and studying the author's strategies they have used to create enjoyable and exciting texts. We will consider how the writer's purpose is to entertain us and causes different emotions to be felt due to their choice of words and their character's actions, speech and description of settings. We will also begin to investigate vocabulary choices further with word studies. Spelling - This week will be the final week of the current PLD spelling unit from Year 1 to 3. A spelling concept revision test will be conducted this week and compared to your child's weekly spelling tests that are conducted every Friday. These results will be used to create new spelling groups for Years 1-3 so that OLC can provide appropriate lessons and phonic studies for child that targets their individual spelling learning needs. The next PLD Spelling unit groups will begin next week. We also encourage those children still participating in the sight words program (those students learning Year 3 sight words and under) to continue practising their tricky sight words on the remaining lines in their blue LCWC books in addition to their weekly PLD phonic spelling lists. Please feel free to come and see us if you have any questions about your child's spelling at school or home. Mathematics - This fortnight we will continue our focus on number operations, with emphasis on subtraction strategies and facts. 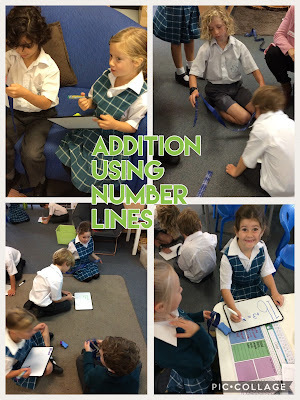 We will also begin to focus on solving addition and subtraction word problems and develop our skills to be able to apply our knowledge of numbers and number facts to real-life mathematical problems that we can solve. Please feel free to come and see us if you have any questions or would like some further support on helping develop your child's mathematical number skills at home. 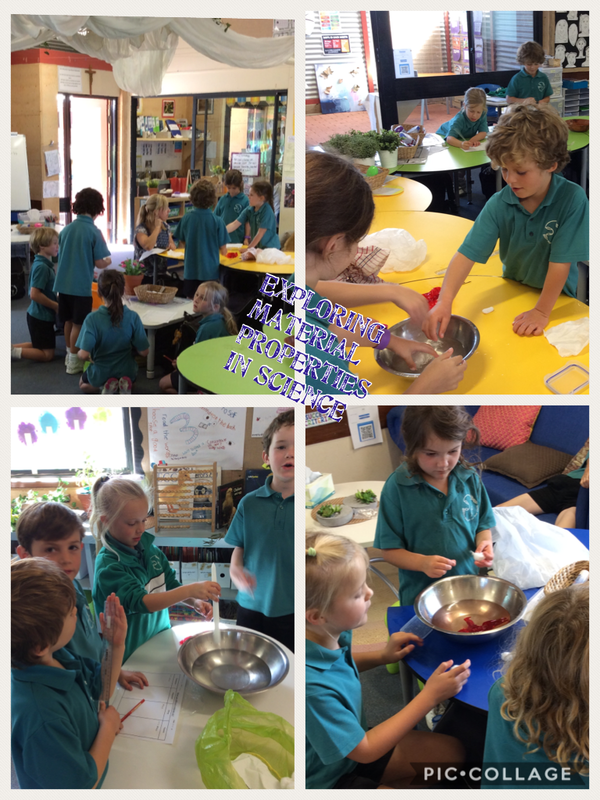 Science - This term our science unit investigates chemical science - mixtures in our world. Our learning intention is for the children to understand that a mixture is an item/object/thing that contains two or more materials that have been combined. They will also explore mixtures in everyday life and being able to determine different materials (such as metal, plastic, wood), their properties (such as smooth, difficult to break, withstands heat) and the reasons why objects are made of different materials. This unit is a great hands on unit that involves a lot of mixing, cooking and combining. HASS -We have completed our history unit with a final study on ANZAC Day and its meaning in Australia's past and present day. For the remainder of term, we will begin our geography studies to learn about Aboriginal culture and their people's connection to the land. Religion - Our religion unit for the next few weeks will be Catholic Education "Joining in the Lord's Meal". This unit of study focuses on the Eucharist. We will discuss God's creation of the human soul, Jesus presence in the Eucharist, gathering as God's family in church to celebrate the Eucharist and learning about Jesus calling his followers to love God and others. Please note in your calendars the Year 2 Family Mass at OLOSC Church on Saturday 26th May (OLC calendar on the website). 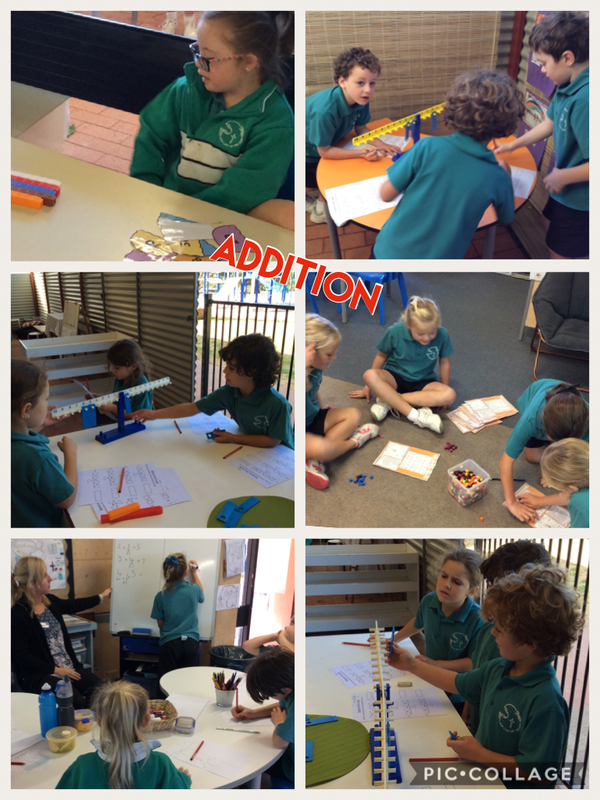 Friendology - In Week One this term we began our Year 2 unit on Friendology and will continue to provide weekly lessons for the remainder of the term. These Friendology lessons are modelled and taught as a combined class with 2T and 2K students learning together about important concepts of being a good friend, friendship facts, language to use and how to solve problems. There is a great link for parents to learn more about Friendology in the current OLC newsletter. It has been such a smooth first couple of weeks back into the term. Please feel free to email us or pop in after school for any questions you may have or any information you want to share with us.